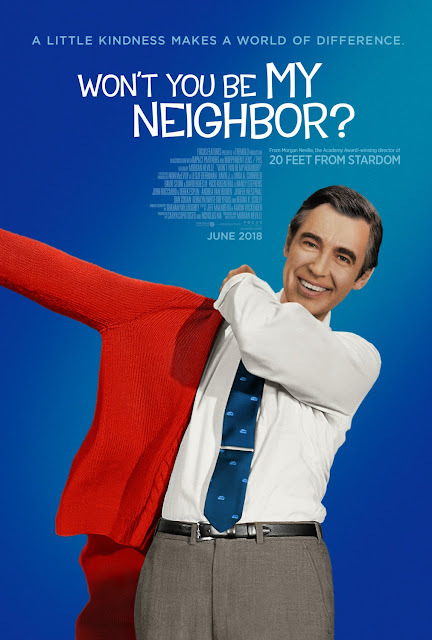 Movie: "Won't You Be My Neighbor?" 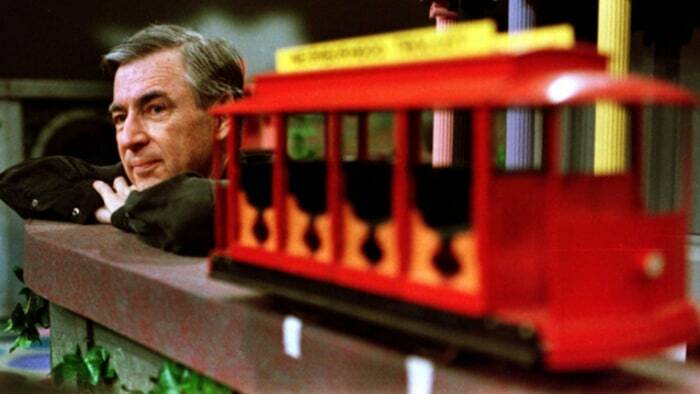 A look at the career and life philosophy of Fred Rogers. The world could certainly use a man like Fred Rogers right about now. "Won't You Be My Neighbor?" is a documentary directed by Morgan Neville, who is best known for his Oscar-winning documentary "20 Feet from Stardom." This film chronicles the career of ordained minister and children's entertainer Fred Rogers, better known as Mister Rogers. He was the creator and host of the educational television show "Mister Rogers' Neighborhood," which aired for 31 seasons between 1968 and 2001. The life of Mister Rogers is told through interviews with family members, co-workers, historians, and through archival footage of Fred himself, as well as clips from episodes from his long-running show. 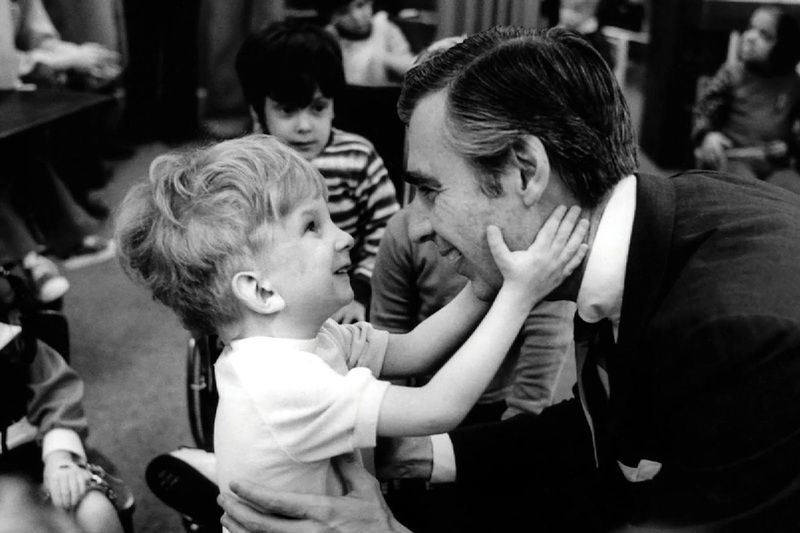 Fred Rogers lived his life based on one philosophy: love. He believed everything in life stems from "love or the lack of it." This is a message that has been missing from our culture for the last couple of decades. In all honesty, it has probably been lost since Mister Rogers went off the air. Morgan Neville has created an uplifting, emotional documentary that has the ability to restore your faith in humanity if you only heed Rogers' words. Is it really that hard to be neighborly to someone in need, to be a decent human being?? This film is an ode to a man who touched the lives of so many people, who taught kids that they are special and that their lives have inherent value, even if they think they are ordinary. 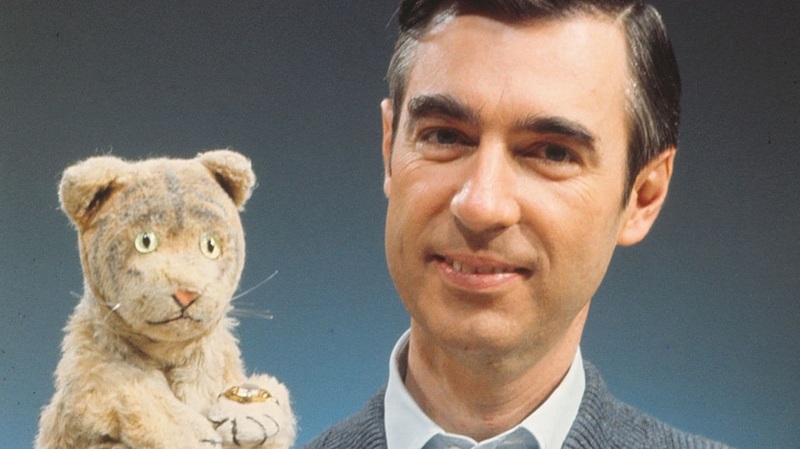 Fred Rogers lived a life without much controversy. One may think that without much dirt, "Won't You Be My Neighbor?" would be utterly tedious and uninteresting. In truth, it is inspiring, simple, but truly inspiring. We watch Rogers push for social change and acceptance by integrating ideas and issues that were important to him into his show, making them palatable for children but never shying away from telling it like it was. He didn't hesitate to discuss tough subjects and understood that kids have to deal with things like death and divorce just as much as adults do. He "put it to children so they would understand" the gravity of terrible situations. The most shocking thing about this documentary is that despite all the good he did in his life, and despite being a minister and lifelong Republican, Fox News still had pundits on their network that called him "evil" for teaching kids the importance of self-worth. Sound clips are played of talking heads blaming Rogers for the downfall of our youth, exclaiming that it was his push to get kids to value and love themselves that somehow contributed to our "participation trophy" culture. We cannot fathom the thought process that would cause someone to call Mister Rogers, of all people, "an evil, evil man." He was an exceptional man, one of the greatest, someone who inspired generations of kids not to be ashamed of who they are, to stand up for what's right, to be compassionate and good-hearted people, to love others justly, and to be good neighbors. There was not a dry eye in our sold-out auditorium at the end of "Won't You Be My Neighbor?" People clapped during and after the film. Patrons walked out smiling and stood together to talk about it in the lobby. For a brief 94 minutes, it brought us closers together as human beings. It caused us to feel hope when we have so often felt hopeless. It made us feel good when we have so often felt bad. It made us think that if genuine, loving people in the world like Fred Rogers existed then, maybe there are people like him out there now. If there are, CAN THEY PLEASE STAND UP??? If you are looking for a movie to inspire hope in what seems like a hopeless time, this is it. This is mandatory viewing for every single person in the world, and at the very least, every single person in this country, at this moment in time, right now.